As a parent Dole Fruitocracy is a snack you can offer your kids and know it's something that's good for them, and they will actually enjoy. Mine had devour the assortment I had left out for them in a matter of a few days and were asking if I had more stashed away somewhere. Of course this sneaky mom had done just that because I knew if I put them all out at once they would be gone in no time. 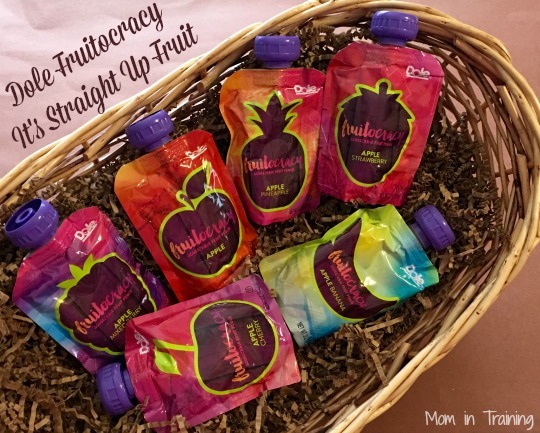 Dole Fruitocracy comes in Apple Mixed Berry, Apple Banana, Apple Cherry, Apple Strawberry, Apple, and Apple Pineapple. Coming from Dole you know it will be a quality product.